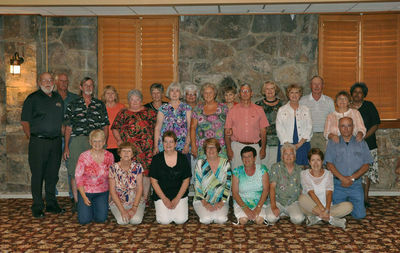 Back Row, left to right (Click for a larger picture) Billy Ellis, Charlie Wiley, Nancy VanStavern Bostic, Larry Wiekle, Marshall Canterbury, Brenda Bailey Walker, Peggy Givens Grantham, Ruth Lynch, Linda Shafer Broyles, Linda Smith Spencer, Donna Vance Perkins, Becky Springer Longanacre. Second Row; Mason Johnson, Teresa Parker Johnson, Brenda Long Luc, Susan Doss Cobb, Shirley Howard Glover, Alice McClung Wade, Helena Tolly Authur, Sue Kirby White, Gaye Boyce Forren, Becky Gavin Yost. Front Row ; Glenn Carter, Connie Miller, Shirley Tabor Scott, John B. Carter, Doris Weikle McCurdy, Jim Forren. 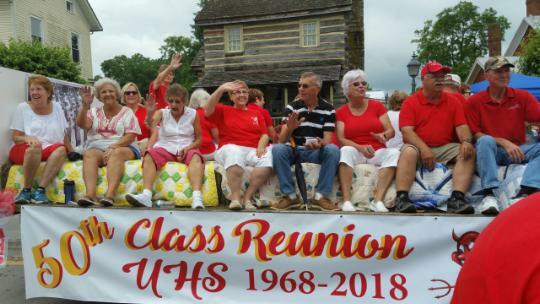 The Union High School Class of 1968 celebrated their 50th class reunion on Farmer’s Day weekend. 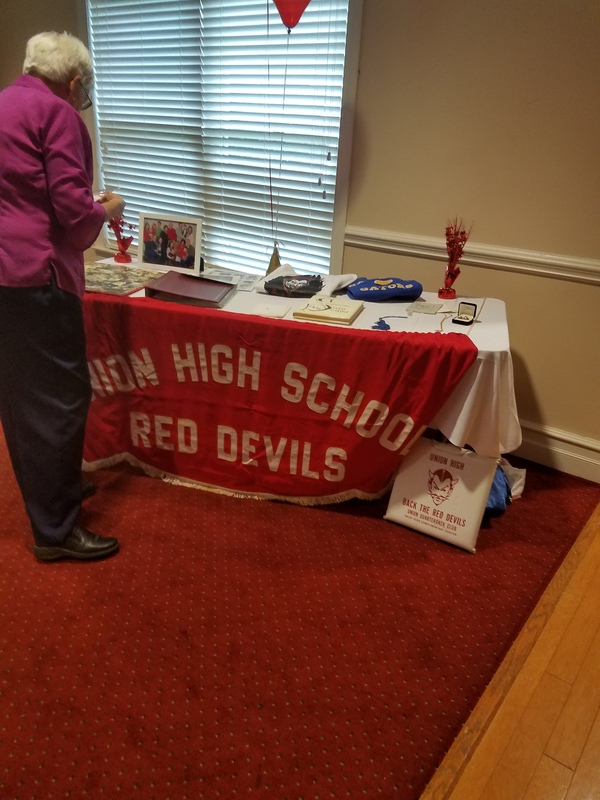 On Friday June 1st, 10 members of our class participated in a golf tournament with the UHS Class of 1969 at the Fountain Springs golf course. Saturday June 2nd, we entered a float in the Farmer’s Day parade, with over 20 class members participating, what a good showing from our class. 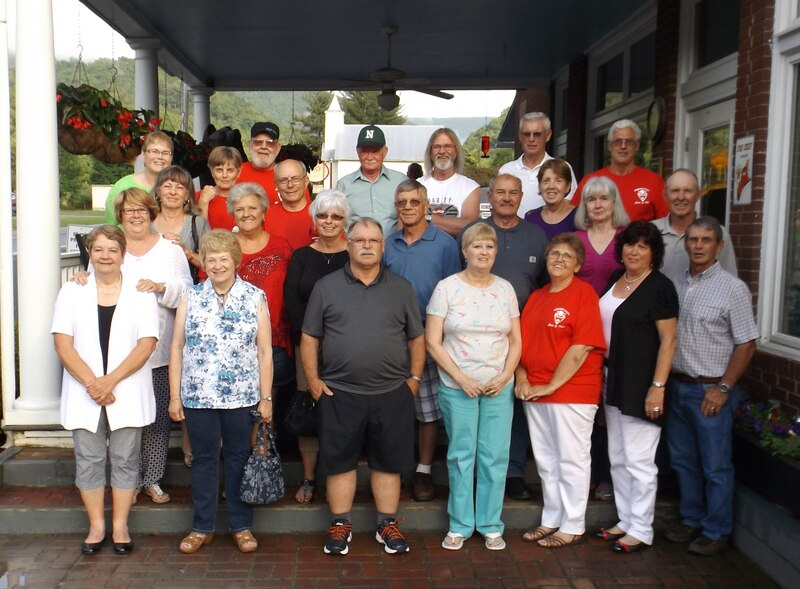 Saturday evening we all enjoyed a wonderful dinner at the Dutch Haus Restaurant at the Elks Club in Lewisburg. 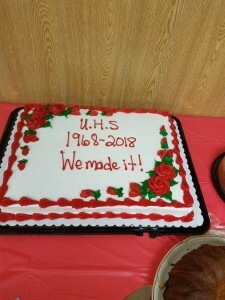 During that time we remembered the class mates we have lost. We also honored the members of our class that were veterans or served as police officers. 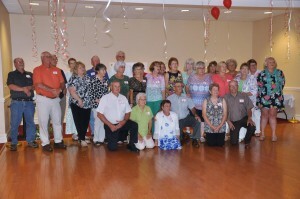 We also awarded three class scholarships to grandchildren of the members of the Class of 1968. 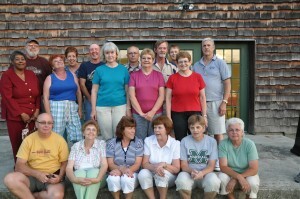 Sunday, June 3rd, we finished our weekend with a covered dish dinner at Trinity UMC in Pickaway. The Class of 1968 was unique because it was the first graduating class after Monroe County consolidated Gap Mills, Greenville, and Union. 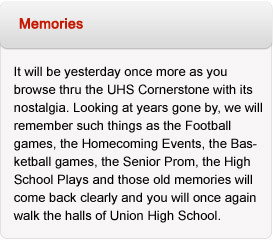 We made lifelong friends with students we would never have met otherwise, and made our senior year memorable. During the weekend events over 33 class members participated. Classmates and their families enjoyed good food, reminiscing, and lots of laughs. Class participated in the Farmer's Day Parade with a float. 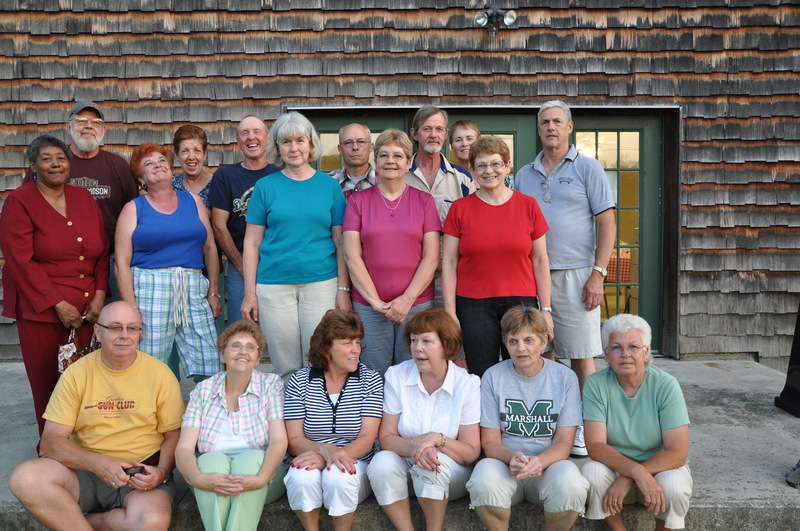 Back Row, left to right: Mason Johnson, Teresa Parker Johnson, Molly Barton Wiseman, Susan Doss Cobb,Brenda Bailey Walker, Becky Garvin Yost, Larry Weikle, Mary Ann Tolliver Second Row: Lloyd Hinkle, Steve Long, Donna Hammond, Linda Shafer Broyles, Donna Vance Perkins, John B. Carter, Bonnie Wickline Tredway, Gaye Boyce Forren, Front Row: Kristi Allen Long, Alice McClung Wade, Doris Wiekle McCurdy, Becky Springer Longanacre, Shirley Tabor Scott, Connie Miller, Ruth Lynch.